Primary service roles: I am the branch manager, and I am in charge of programming and collection development for adults in both English and Spanish. However, when I have a vacancy, I also fill in as either a Young Adult or Children's librarian. How does your work align with service to Latinos and Spanish-speaking communities? : Our branch is located in the Boyle Heights neighborhood of Los Angeles. Boyle Heights used to be a very multicultural neighborhood at the beginning of the 20th century, but it is now over 94% Latinx. Our community spans the entire linguistic spectrum from Spanish monolingual (high percentage) to Spanish-preferent to bilingual to English-preferent to English monolingual, but it skews toward the Spanish speaking. I am blessed to use both languages every single day at my branch, and I work with many community non-profits to provide Spanish-language programming for our community. Our branch collection is over 40% Spanish, so I do lots of collection development in Spanish. And lots and lots of outreach in Spanish! I've also been on live TV (Univisión, Telemundo, and Channel 22) talking about the Los Angeles Public Library and promoting library services in general (one time I wore a Lorax mustache on live TV, and another time I wore a Dr. Seuss hat on live TV), and I've been interviewed for Spanish-language radio and La Opinión (LA's legendary Spanish-language newspaper). Also, I'm very pleased to be one of the members of the Los Angeles Public Library's Spanish Translation Team. Not only does our team strive to provide linguistically correct and culturally relevant translations for the entire LAPL system, but we also advocate for providing services, programming and outreach in Spanish throughout the LAPL system. Gratifying aspects of your work: Ayudar a mi gente a que aprovechen de tantos servicios que ofrecemos que les pueden beneficiar. Proveer servicios bibliotecarios a mi comunidad en su idioma. Uno de mis servicios favoritos son las clases de ciudadanía en español (para personas que califican para tomar el examen de naturalización en español). Tengo fotos de varias personas que se han hecho ciudadanos gracias a los servicios de nuestra biblioteca para inspirar a otras personas de la comunidad para que también se hagan ciudadanos. Es algo muy significativo para mí, pues mis papás también se hicieron ciudadanos cuando vivían en Boyle Heights gracias a la ayuda que recibieron de las organizaciones comunitarias. Some words of advice to other librarians and/or present and future MLIS students: Follow your passion. Find the place where work doesn't feel like work, but like a calling, because when those tough times/people happen (and they will), you will know your purpose, and you won't be derailed. Previous programs that I have done: I do a lot of programs with the help of community organizations. In the past, I've had citizenship classes (presented by Catholic Charities, CARECEN), renters' rights workshops (presented by LA Center for Law and Justice), nutrition classes (presented by Esperanza Community Housing), movie nights, mental health workshops (provided by the LA County Department of Mental Health), the UCLA Mobile Eye Clinic (provides free eye exams and glasses), staged play readings (presented by Center Theatre Group), and many, many more that I can't remember. But, I always try to provide programming in both languages. For example, the play readings are in both, but they alternate each month. Primary service roles: I am the current Reforma Los Angeles Chapter president as well as the Technology Chair for National Reforma. Overall, my role is to support the local chapter in leading Reforma's efforts to engage our community, diversify our library profession, and create opportunities for networking/support among current librarians. How does your work align with service to Latinos and Spanish-speaking communities? : Part of my job requires piloting new projects and technologies at libraries. As such, I ensure that all documentation and marketing for the use of the devices/programs are bilingual and can reach a new audience. I also serve in our library's Spanish Language Committee which is in charge of translating all web content, flyers, and other Spanish Language communication in our library system in order to standardize and market under one message. Lastly, I participate in CLA's Latino Services Interest Group as a co-chair to bring programming to help librarians serve their Latino and Spanish-speaking populations. Gratifying aspects of your work: Working with colleagues that are passionate about services to Latinos and ensuring that our communication efforts are bilingual. Leveraging partnerships and projects to ensure that services or technology is available to communities that may not otherwise have access to them. Some words of advice to other librarians and/or present and future MLIS students: Don't be afraid to take risks - you have to be willing to try new things, disrupt and innovate. Librarianship is a moldable career and you can make of it what you want, immerse your energy and passion into what you already love doing, and chances are you will end with a job you love. Previous programs that I have done: Hotspot lending program, veteran stand down (fairs), Spanish language computer classes, children's citizenship ceremonies, and immigrant integration efforts. Primary service roles: I serve the Reforma LA chapter by snapping pictures and posting to the Instagram, Facebook, & Twitter of our #REFORMALA meet-ups, meetings, & socials. How does your work align with service to Latinos and Spanish-speaking communities? 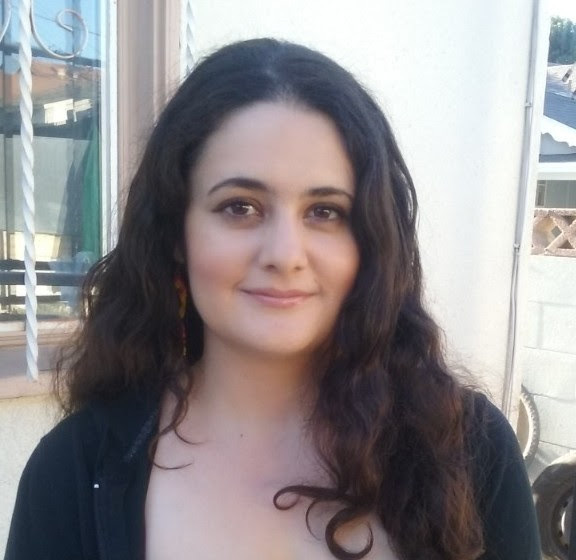 : I'm a bilingual YA Librarian for the Baldwin Hills Branch and I serve the Spanish-speaking community by making space for bilingual zines and bilingual zine workshops as well as events such as Lotería night and presentations for Latino Heritage month by Professor Gloria Arjona. Gratifying aspects of your work: Speaking with families and providing volunteer opportunities to teens that need work experience. Some words of advice to other librarians and/or present and future MLIS students: Keep it up, never give up, never lose sight of why you do your work, the patrons in the community you serve! Previous programs that I have done: Learn to DJ with #DJZibaZ! Sewing Rebellion workshops, learn to sew at the library! #ArtBlockZine workshop hosted by #DSTLArts for bilingual teen zine making to add to the #LAPLZineLibrary! Primary service roles: children's services which include(story time, outreach, programming), weeding, purchasing materials for children, scheduling library class visits, etc. How does your work align with service to Latinos and Spanish-speaking communities? I work in a city that is mostly Spanish speaking and I am assigned to purchase Spanish children's materials, story time, outreach, etc. Although I am mainly a children's librarian and deal more with children, I am always helping Spanish adult speakers to get information from getting directions, contacting a company or getting facts. I love it when children tell me that they miss me when they don't see me (when they don't see me for storytime). Let's me know I am making a difference. It's also great to get little notes from them that say they love the library. It's also fun for me to be silly and be one of the kids. For those who are librarians, thanks for sharing ideas! It's always great to hear and see what other libraries do. For those who are ready to jump in the field, don't be afraid to ask questions. We learn to know what to do. For those who are still in school, look for ways to volunteer or start a part time job. You learn more when you do the work rather than write about it. I am currently working on Batman Day for tomorrow. It will be for ages 5-10. A craft and activities will be the in effect. Am also working on Stranger Things Party -coming in Dec. 2016. (At Santa Monica) STEAM story time for preschoolers and their parent/caretaker, kids crafts, bilingual storytime, kids gardening, kids yoga. I started my librarian skills at Whittier Public Library with the Children's Department back in 2007. But started working in 2001, as a page. I recently became the Associate Dean of Library and Learning Resources at Mt. San Antonio College (Mt SAC). In this position I oversee the College Library, tutoring services, the computer learning lab and the Online Learning Support Center which supports the integration of technology into teaching. Prior to coming to Mt. SAC I had been a librarian at California State University, Los Angeles for 18 years. During that time there I served as a reference and instruction librarian for various academic departments and campus centers/programs. I also served as Head of Access services for five years overseeing the Circulation, Reserves, Inter-Library Loan and Stacks. During my last three years I was the Reference Services Coordinator. A highlight of my work there was the establishment of the East Los Angeles Archive dedicated to preserving the social and political history of that community. My service to Latinos and the Spanish-speaking communities is reflected in my reference and instruction work, my collection development activities and my campus involvement. Cal State LA and Mt. SAC are campuses with a predominantly Latino student body, so I interact and assist this population on a daily basis. At Cal State LA I served as the Latin American Studies and Chicano/a Studies Librarian. I worked closely with faculty in these disciplines and often was invited to provide library instruction introducing students to library resources useful for researching these academic areas. I would also meet individually with students from any department who were researching Latino communities and direct them to relevant sources to consult. Through this work I was supporting the research of these communities as well as success of our students. I believe that information institutions, such as libraries, are transformative spaces where students can learn about themselves through alternative perspectives and in turn empower themselves. In this spirit I have dedicated my work to building collections and information services that reflect the diversity of our student body and our local community. Poet Adrienne Rich wrote, “When someone with the authority of a teacher describes the world and you are not in it, there is a moment of psychic disequilibrium, as if you looked into a mirror and saw nothing.” Her words speak to the importance of students seeing themselves in our libraries. It is through establishing collections that document and include the voices of marginalized communities that academic libraries can support the success and well-being of our students. To this end I have worked to ensure that print and digital information about underrepresented communities, like Latinos, is available and accessible in our library. This included establishing the East Los Angeles Archive at Cal State LA as well as my work as a founding member of the Latino Digital Archive Group, a group that seeks to establish a national forum to explore the establishment of a Latino digital archive that would have as its goal the digital preservation of all aspects of U.S. Latino history. In addition to working with students directly and building relevant collections, I also serve the Latino community through my campus outreach. Over the years I have worked with outreach and retention programs such as the Educational Opportunity Program, the Go East LA initiative, the Dreamer Center, and the Parents Academy which primarily works with Spanish-speaking parents of incoming students. The most gratifying aspect of my work is having the opportunity to make a difference in the lives of students. Whether it is providing students access to information they needed to complete their MA thesis or teaching them how to email their professors. I would encourage future librarians to be resourceful and persistent in their work. When encountering obstacles in moving your ideas forward, always look for other avenues. Be creative in your services and don’t limit yourself to the confines of what and how your library has done things in the past. Small actions can lead to big changes. REFORMA LA would like to extend our gratitude to our wonderful generous supporters whose participation made possible a fantastic Awards Luncheon celebration on June 5, 2016 from 1-3 p.m. at the East Los Angeles Public Library. New Mexico State Library Commissioner and former Executive Director American Library Association Elizabeth Martinez, gave an inspiring keynote address to our 2016 Elizabeth Martinez and Dr. Karin Duran scholarship winners and Luncheon attendees. Our Chapter was delighted to award our 2016 scholarship winners Anita-Marie E. Martinez, Janet Garcia, and Jimmy Zavala each with $1000 dollars and a certificate of recognition. Día de los Niños Mini-Grant winner, Dr. Romelia Salinas gave us a recap of her Dia community program held at California State University, Los Angeles on April 29, which was inspired by this year’s Newbery Medal winning book Last Stop on Market Street by Matt de la Pena, with illustrations by Christian Robinson. We also congratulated Anna U’Ren, our ALA Student Travel Grant awardee, as well as our past REFORMA LA Chapter secretary and in-coming Public Information Officer, Juan Guillermo Garcia who was awarded the prestigious Spectrum Scholarship Award for 2016-2017. Our graduating MLIS students included Sylvia Aguiñaga, whose organization DIY Girls empowers girls by teaching coding and applying science, tech, engineering, and math (STEM) skills in creative ways is making big waves in library innovation. Oralia Garza de Cortes, co-founder of the Pura Belpre Award, also spoke about the outreach advocacy work she is doing with REFORMA’s Children in Crisis Project. She encourage us all to get involved in the project, and described how La Librería, a bookstore in Los Angeles that specializes in Spanish language children’s books, recently held a storytime fundraiser to benefit the Children in Crisis Project. Sonia Bautista also shared about the library outreach project she is coordinating with the Salvadoran Consulate. Named La Biblioteca Prudencia Ayala de el Consulado de El Salvador, the project was created to serve the children and families that visit el Conulado de El Salvador. Read more about the project in this month’s REFORMA LA’s Newsletter. HERE PLEASE LINK TO SONIA’S PIECE. The REFORMA Los Angeles Chapter also extended a warm and enthusiastic welcome to J. Carlos Rodriguez. Carlos is now the University Library Dean, at California State University Los Angeles. Welcome to Los Angeles Carlos! We are happy you’re here. Early in the year, the Salvadoran Consulate approached Senior Librarian, Sonia Bautista with the idea of opening up a library inside the consulate. Ms. Bautista knew a couple of staff members from the consulate since she had previously held an author program at Commerce library in conjunction with the Consulate. She mentioned REFORMA LA to the Consulate and how REFORMA could help out too. REFORMA LA Vice-President Celia Avila and Sonia visited the Consulate in early April and evaluated the future library space along with books they already had donated. Sonia collected books for the Consulate and also gave them a list of furniture and shelving that would be adequate for the space. Two weeks before the grand opening, Sonia and her family visited the library to help decorate, clean and label books, drop-off more Spanish and English children and adult books and help with labeling. Celia also visited the Consulate to help them in last minute preparations for the grand opening. The grand opening of the Biblioteca Prudencia Ayala de el Consulado de El Salvador was held on Friday, May 27th and Sonia was there to represent REFORMA LA. The library was named after writer, activist and female rights advocate, Prudencia Ayala. The event was very well attended with over 120 guests, including consulates from other countries, folklore dancers, musicians. Sonia was invited to partake in the ribbon cutting ceremony alongside other volunteers, and the Salvadoran consulate María Mercedes López. The library will be volunteer run. The Consulate hopes to have volunteers each day to keep the library open as many days as possible. They are also accepting book donations for children and adults in both Spanish and English. If you wish to donate your time or books, please email reformala@gmail.com. REFORMA Los Angeles is pleased to congratulate Anna U’Ren as the winner of the 2016 ALA Student Travel Grant. This $250 student travel grant award was created to help offset the cost of attending the 2016 ALA Annual Conference in Orlando, FL and REFORMA's Denim and Diamonds yearly gala event scheduled to take place at ALA Annual. Congratulations Anna U’Ren! Learn a little more about Anna. Hello, my name is Anna U’Ren and I am a student in my second year of SJSU’s MLIS program. I live in San Juan Capistrano in Orange County, CA. I work as a pharmacy technician and my husband Sam works for Mission San Juan Capistrano, and we have two kids: Emmett, age 5, and Eleanor, age 2. I live in a wonderful community that is very much a small town. I have built many close relationships with my pharmacy customers (some of which are my neighbors) and take pride in helping them navigate our often frustrating healthcare system, but I feel that a career as a librarian would be more personally fulfilling and enable me to better support my family. I have been unable to attend any library conferences thus far because they have been too cost prohibitive. The professors in the MLIS program at San Jose State do a great job at providing a rich online learning experience, although I must admit that I sometimes feel isolated as a student working alone at home. It was exciting for me to think that librarians could have active and dynamic roles within their communities. When I started library school, I had an outdated idea about libraries, thinking that, because I like books, librarianship would be a great profession to enter. Now I know that libraries today are so much more than warehouses for books, and that each library is unique because each community it serves is unique. I would love to attend the ALA conference in Orlando this year, if only just to talk to anyone and everyone, and ask lots and lots of questions. I want to meet people and see the exhibits and presentations, and attend the SJSU iSchool reception so that I can connect with people from my school in person and not just through a computer screen. And I want to learn more about REFORMA, because meeting the objectives of this organization would positively impact many in my own community. That, and my professor Dr. Bernier also says that the REFORMA Gala is always a good time. I develop programming and curriculum for DIY Girls, an organization dedicated to empowering girls by teaching and applying science, tech, engineering, and math (STEM) skills in creative ways. I also teach electronics projects and create resources for parents and kids to encourage learning at home. Every day, I work to empower Latino youth to see technology as a tool to express yourself. I’m especially interested in how we can make the “learn to code” initiative more accessible to the Spanish-speaking community--specifically parents so that they can support their kids at home. Knowing how to code can connect a kid to a world of imagination and give her or him the ability to express their personality while learning critical and computational thinking skills needed for future jobs. It can inspire a teenager, full of big ideas and idealism, to take the skills gained from learning to code and create real products that can have real impact. As an adult, knowing how to code can mean getting a raise or gaining more job opportunity because of your new skill set. It can empower the Latino community because it helps traditional barriers to achievement disappear. I love to see parents engage in the making process with our girls. It reminds me of when I would build model planes with my dad as a kid. I know how precious those experiences are for us, so seeing it happen in front of me is the best. It’s especially cool because our girls confidently share their engineering knowledge, and their parents help them create something special. Seeing confidence build is my main motivator. When attitudes shift from, “I can’t do this.” to “How can I do this?”, ideas turn into products, and a girl yells, “I did it!” — I know we’re doing something right. It’s not what you do, it’s how you do it. This goes for librarians, but it also relates to kids as well. Some librarians feel pressured to take on STEM programming even though it isn’t necessarily their passion. Don’t do something you don’t like doing. There are plenty of STEM enthusiasts out there. Stick to what you love because when you do what you love, you do it well. This doesn’t mean you shouldn’t be open to how tech fits into what you love doing. :) I’m sure you’ll make some sort of connection. I like to make things. From building my own music machines to writing silly stories about lizards. Making something that is so clearly “me” feels good. It’s something I want to encourage others to pursue because when you do, you become more “you”. REFORMA Los Angeles is pleased to announce the winners of this year's Elizabeth Martinez and Dr. Karin Duran scholarships. Congratulations to future librarians Janet Garcia, Anita-Marie E. Martinez, and Jimmy Zavala! Please save the date for the REFORMA LA Awards Luncheon which will be held on June 5, 2016 from 1-3pm at the East Los Angeles Public Library. We look forward to celebrating our scholarship winners at this event. The scholarship selection committee would like to thank all the wonderful MLIS graduate students who applied to our awards this year. We look forward to another year of strong fundraising efforts. Please support us and GIVE TODAY! The Elizabeth Martinez and Dr. Karin Duran Scholarships Awards are a focal point project for REFORMA Los Angeles Chapter. One-hundred percent of funds raised for this project are awarded to graduate students in pursuit of a Master of Library & Information Science (M.L.I.S.) degree. Please help us raise more funds to support the academic persistence of our many wonderful and talented library school students. I help organize literacy, health, and financial programming for the members of the Vernon-Central community; I help to manage the social network accounts associated with our branch, and I ensure that there are enough resources in Spanish for our patrons, 85% of whom speak Spanish as their first language. Aligning library service to Latinos and our Spanish-speaking communities. I have worked in several communities that were this Spanish-language dominant, but I have never worked in a community where I got to ensure there were enough Spanish language materials. I feel very fortunate to be able to do this, and feel doubly fortunate that REFORMA is a big part of that work (in terms of help from colleagues and peers, etc.). The Vernon branch collaborates with Catholic Charities to provide the space for Citizenship Classes in our community room every Wednesday; that's the same day that I teach a Computer Comfort class, which most of the time ends up being given in Spanish (I am bilingual) because of the preferences of the students that end up coming. Most gratifying and enjoyable aspects of your library role. In March of 2016, Carla Osorio, one of the members of Casa Solidaria del Sur facilitated a presentation: Mujeres Que Publican!, to celebrate their recent publication, Los Hilos Que Tejen, a book that celebrates women that have immigrated to the U.S. from Latin America. This program not only educated and empowered women in the Central-Vernon neighborhood, it also showed them how to follow suit and become "tellers" of their own narratives. Words of advice for other librarians and/or present and future MLIS students. Come out from behind your computers, come out of your shells, get your hands dirty with projects that require zero down, ask patrons for help to entice them into programming, fulfill your jedi destiny of being a community protector and healer, an information shaman, someone those in need of help will come blocks to see, listen more than talk, and if you are going into public libraries, remember, the affluent libraries have high circ rates and are generally safer (not always), but the libraries in under-serviced areas are always going to need you more and provide you with more chances for innovation because there is less scrutiny and numbers/figures thrown at you for justification. The public libraries in under-serviced areas are the laboratories young librarians are seeking if only they can overcome snags in budgeting, logistics, and administrative enthusiasm. Personal interest that informs your service. From 1999 to 2002, I went to graduate school for creative writing, where I attended the program for Poets & Writers at UMASS-Amherst. I was afforded the opportunity to attend school there through a diversity fellowship and was lucky enough to study with Martin Espada, Tomas Salamun, and Peter Gizzi; I also got the chance to geek out on the trove of Latin American literature housed in the DuBois Library, a 24-story library tower in the middle of western Massachusetts farmland. After library school, ten years later, I learned some html and decided to publish an online journal called, Hinchas de Poesia (http://www.hinchasdepoesia.com/). We are currently working on issue #17 and have published a slew of people way above our paygrade, poets like Luis Rodriguez, Campbell McGrath, and Norman Dubie, We don't sell advertising and the only thing we care about is publishing excellent writing from the Américas, norte y sur. One of the students I attended the Poets & Writers program with was James Foley; we struck up a fifteen year friendship that was cut short when Foley was murdered by ISIS in August of 2014. In March of 2015, I successfully funded a kickstarter to publish an anthology of ghazals for him, and in February of 2016 we began distribution of our first print publication, Ghazals for Foley ( ISBN: 978-0-9845398-7-1): 5.3 ozs and 76 pages, to boot! I have been working diligently to place them in libraries and bookstores, and sell them online, https://squareup.com/store/hinchas-press. All proceeds that I garner from sales of the book are going to be donated back to the James W. Foley Legacy Fund. El día de los niños/El día de los libros (Children's Day/Book Day), commonly known as Día, is a celebration of children, families, and reading that culminates yearly on April 30. REFORMA Los Angeles is happy to announce a $250 grant opportunity to support the celebration of this nationally recognized literacy initiative which emphasizes the importance of literacy for children of all linguistic and cultural backgrounds.